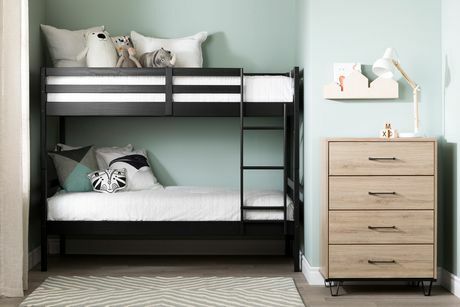 Make space saving easy with Fakto, the industrial style bunk beds for children’s rooms. 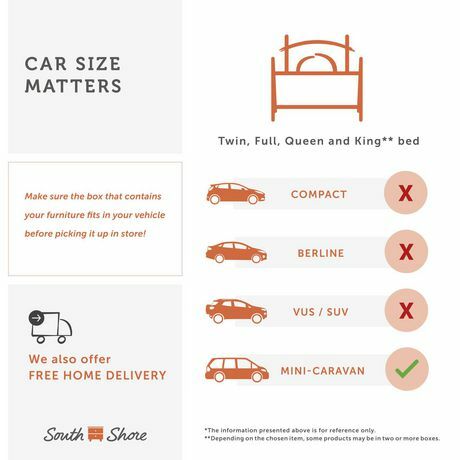 You gain the footprint of an entire bed – the biggest piece of furniture in a kid’s room – by freeing up a lot of space. 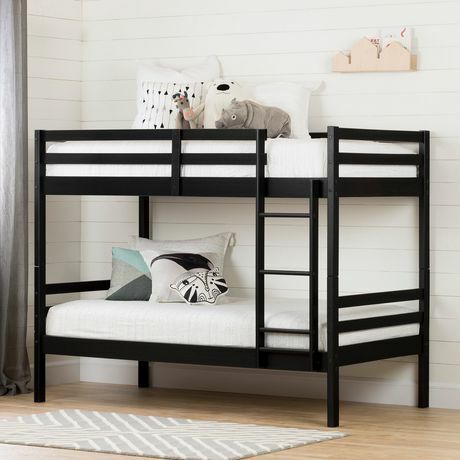 These safe, and very sturdy, bunk beds are made from solid wood – specifically, pine. 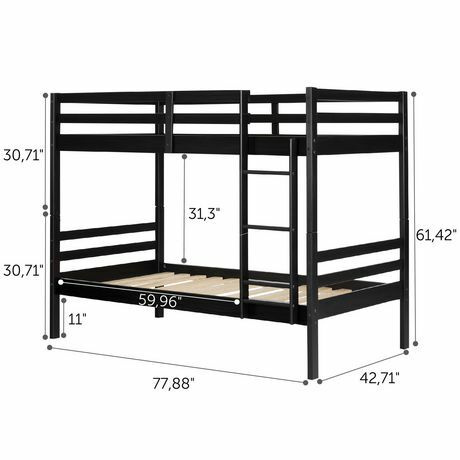 The ladder and the railings around the top bunk will keep your little one from accidentally falling out. We always meet every standard in place, to give you peace of mind, so all you have to do is let them have fun in their favorite new hiding place! When your kids don’t want to share a room anymore, you can reuse the lower bunk as a single bed. We built it so it’s easy to detach from the upper bunk and use as a single bed. And the sleek lines and neutral color mean this furniture won’t go out of style over the years. 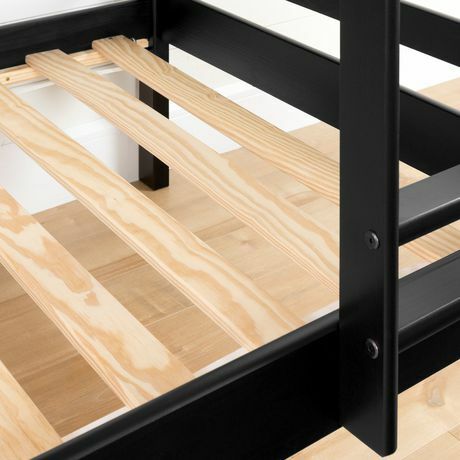 The mattresses used with these bunk beds for kids should be no thicker than 7½”, so the bed rail can keep your child safe. Another important thing: Children less than 6 years old should not sleep in the top bunk. SPACE SAVING: Choose bunk beds for children’s rooms, rather than two single beds, and free up almost 22 square feet of space. SAFE CHILDREN’S BEDS: Made from solid wood, without compromising on materials quality – especially since these are children’s bunk beds. We also make sure we’re in compliance with all current safety standards. 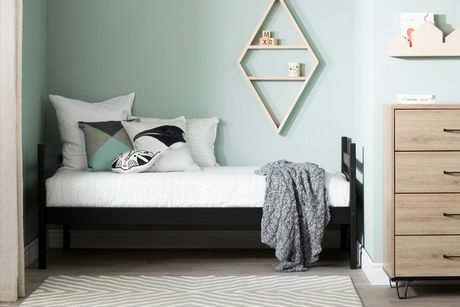 A TRENDY, WELL THOUGHT OUT DESIGN: The industrial style is now here for your kids’ room! Ultra-straight lines give the furniture that designer look everyone wants. This great looking style is very well thought out: just remove the top bunk and use the lower one as a standard single bed. 1-YEAR LIMITED GUARANTEE: South Shore is proud to stand behind this solid wood bunk beds with an exclusive 1-year limited guarantee. Shop with confidence knowing your purchase is always covered.